Eliminates odor for a very short period of time. 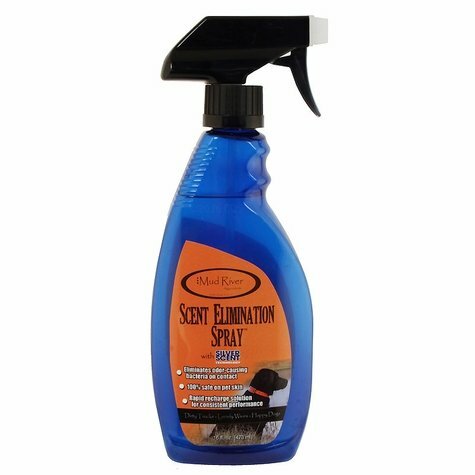 Mud River Sporting Dog Scent Elimination Spray with Silver Scent eliminates odor-causing bacteria on contact and is 100% safe on pet skin. It is composed of an ultra-concentrated solution of nano-silver particles. The Scent Elimination Spray attacks even the smallest of pathogens and odor-causing bacteria on contact leaving your pet scent-free. Scientific studies conducted by Brigham Young University, Arizona State University, and Penn State have proven that the technology behind this product is a reliable and effective solution to pet odors.